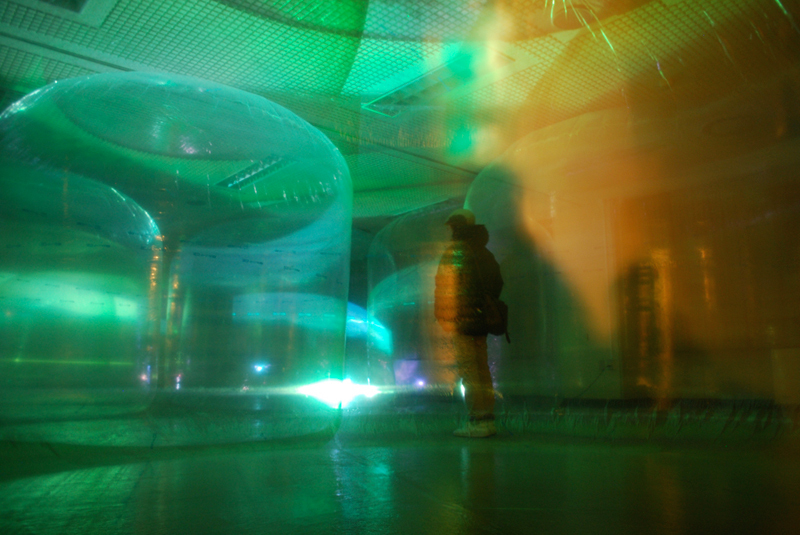 A part of the building of closed elementary school is filled with plastic bubbles. 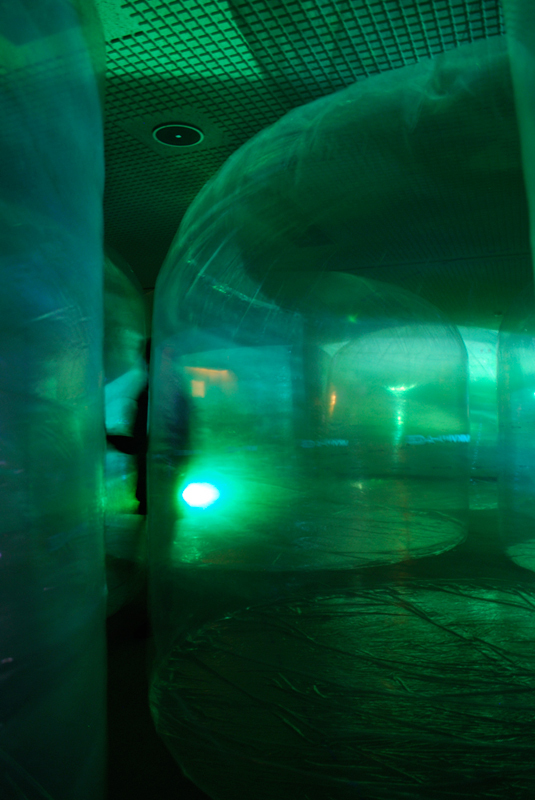 And video projections are floating in the air through the bubbles with piquant noise. 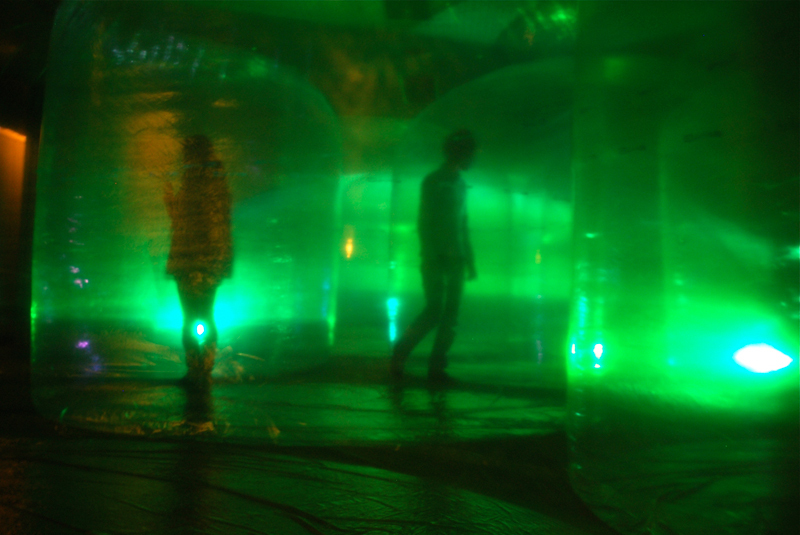 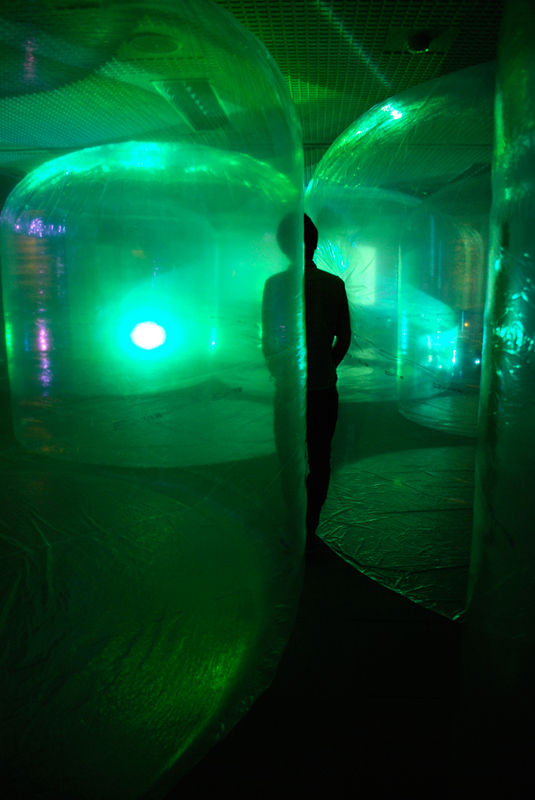 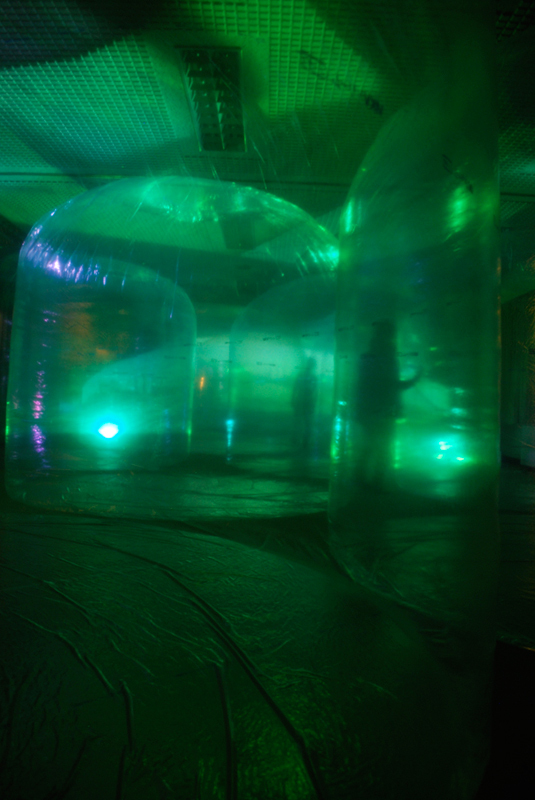 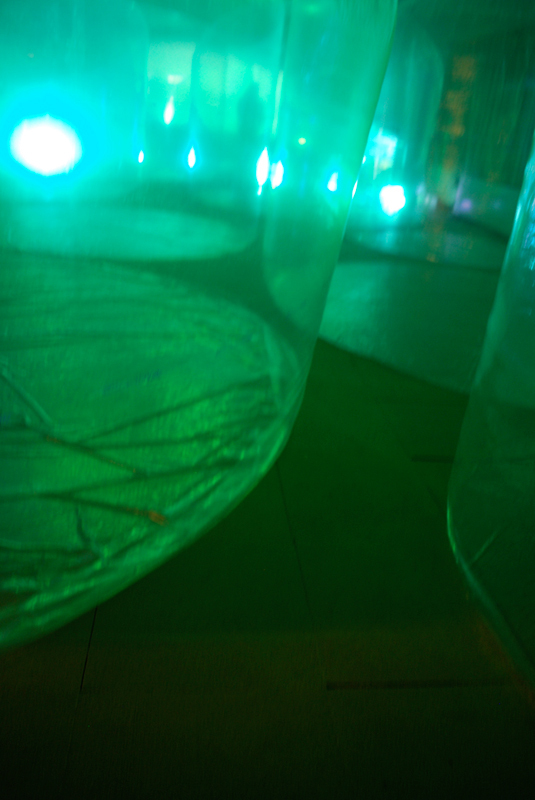 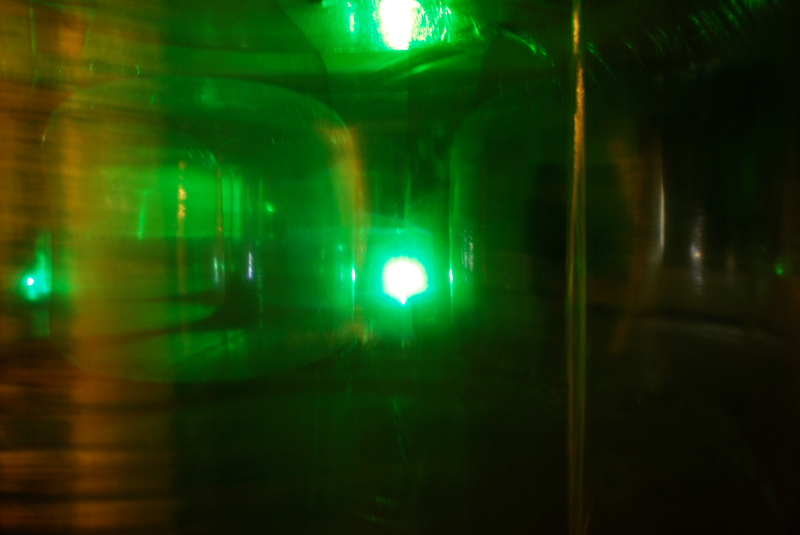 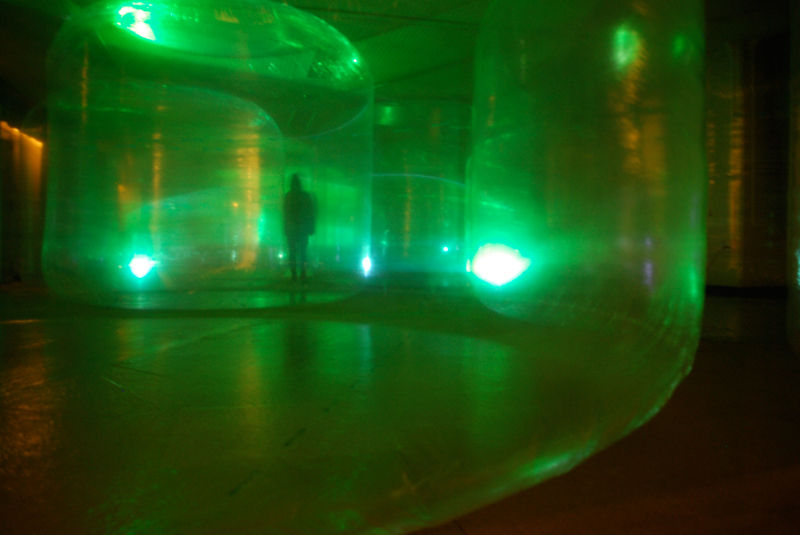 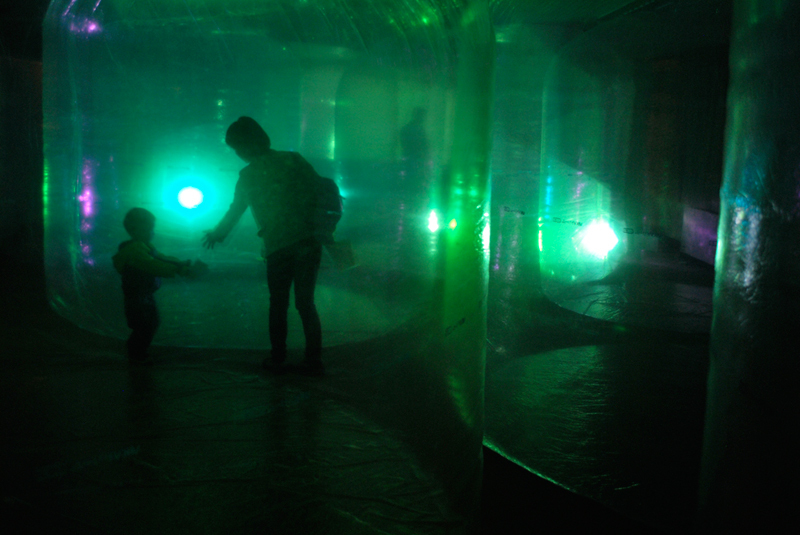 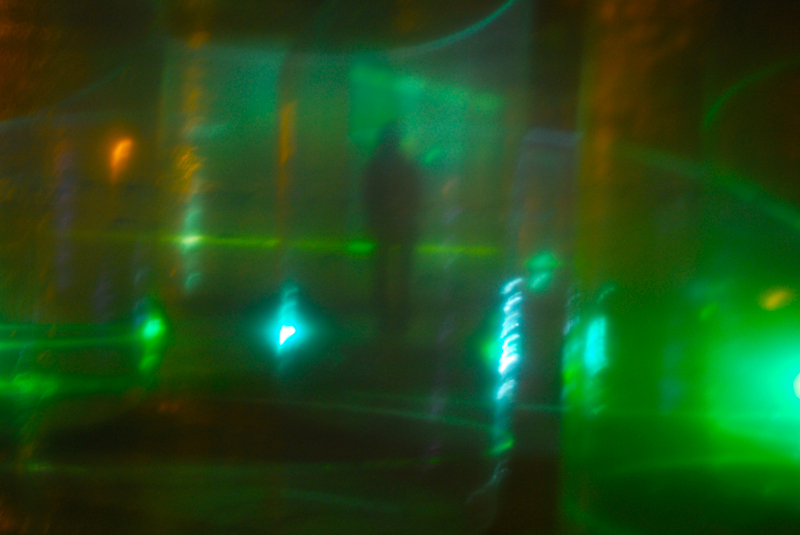 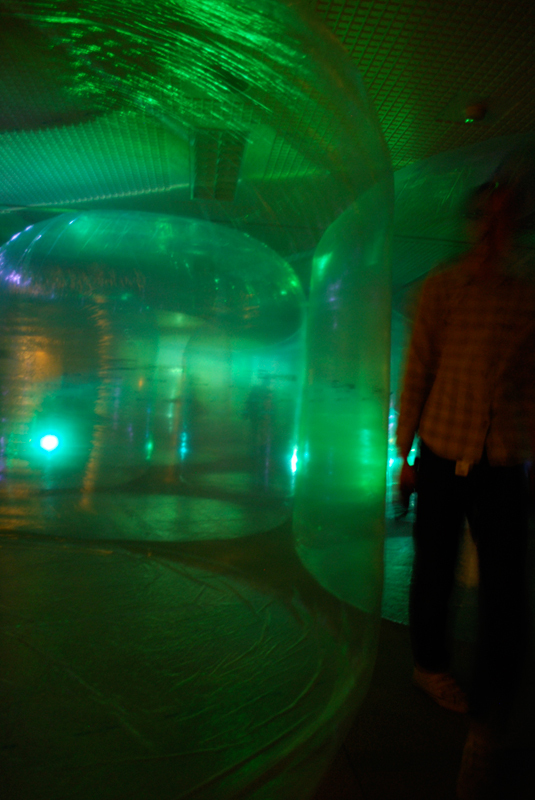 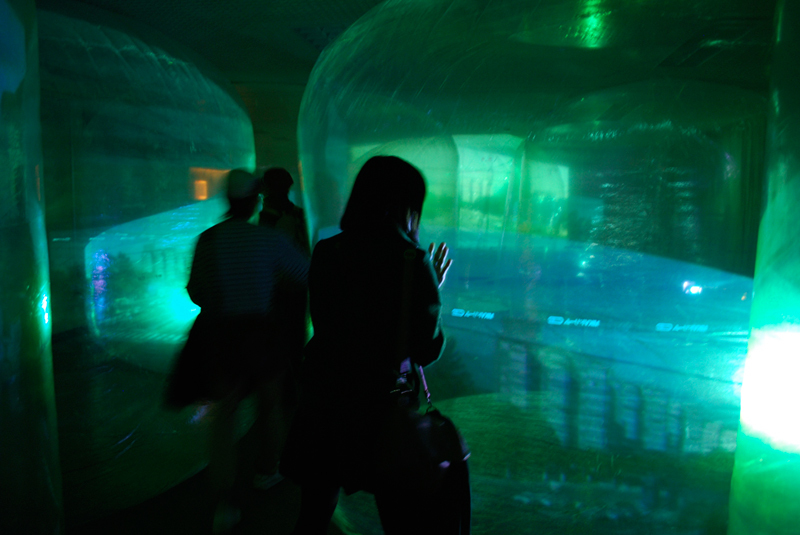 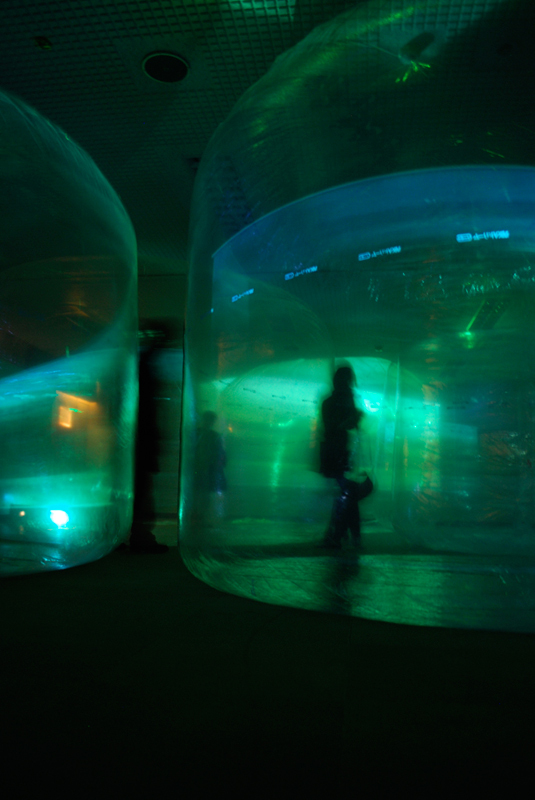 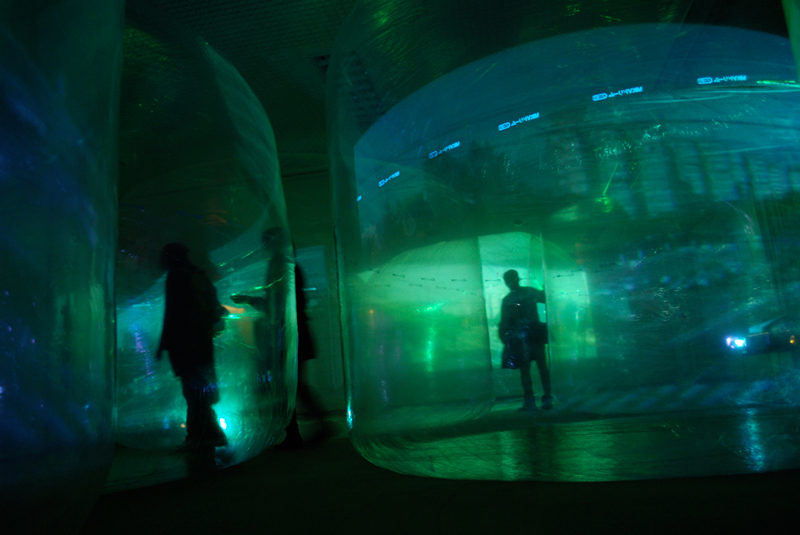 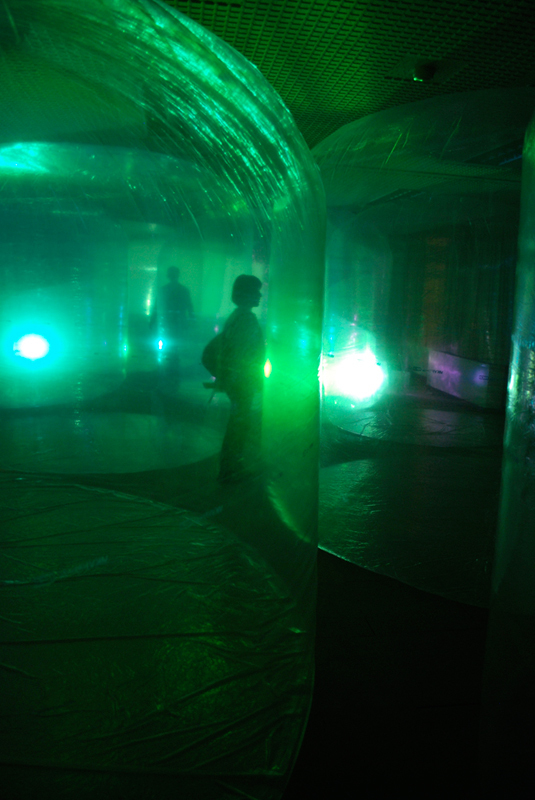 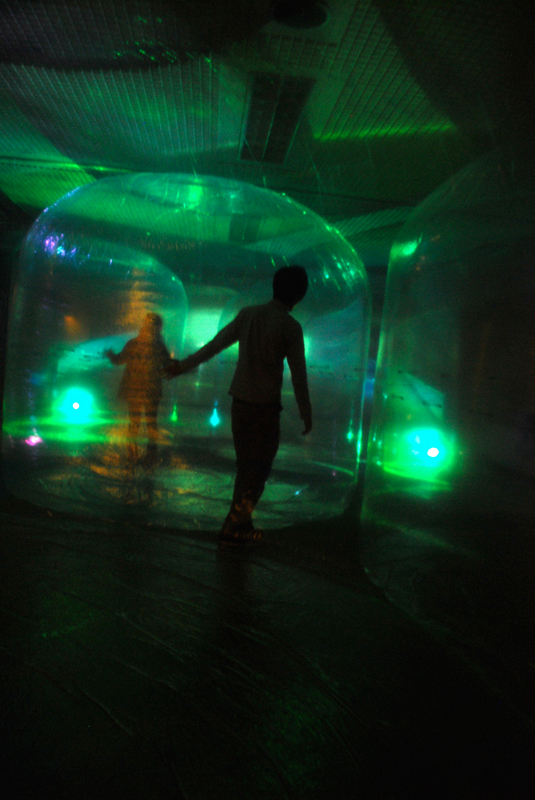 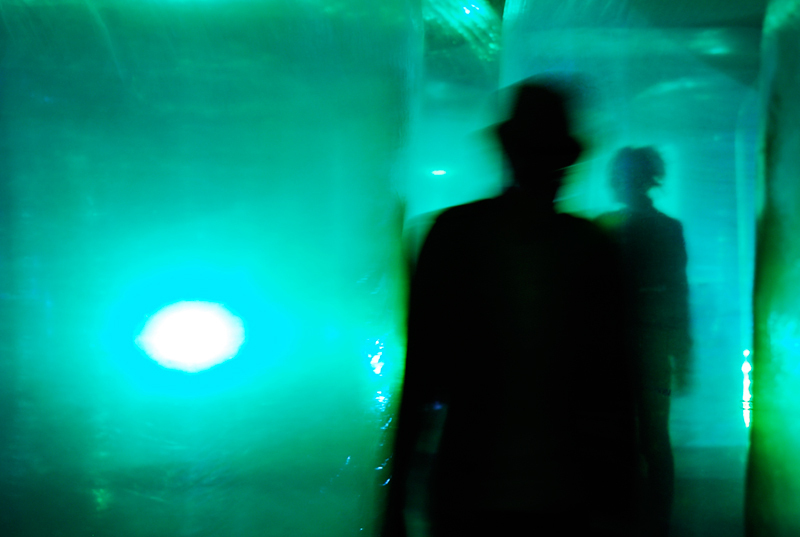 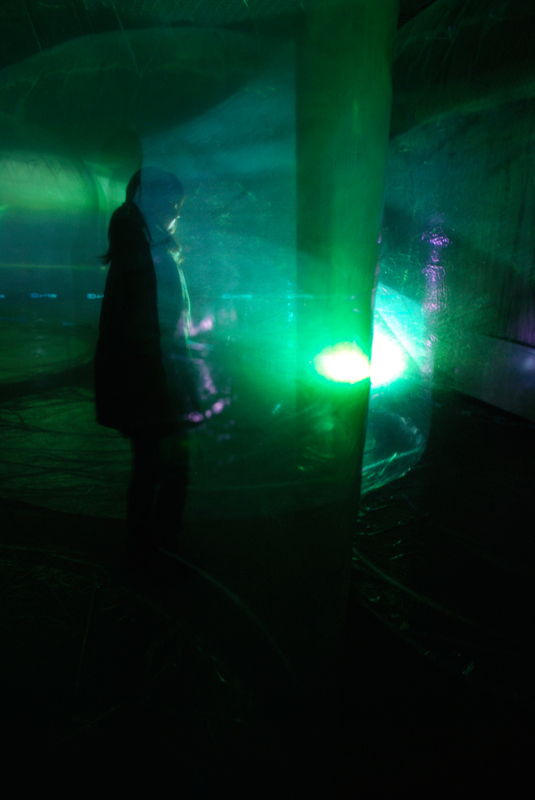 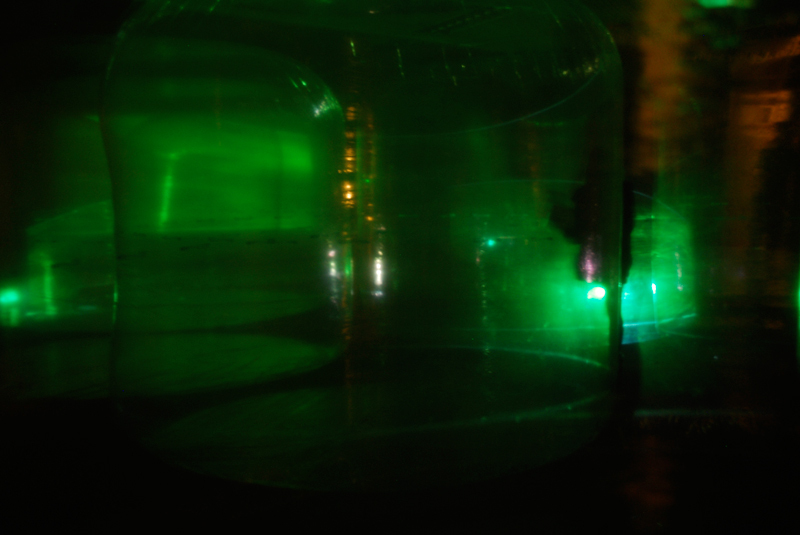 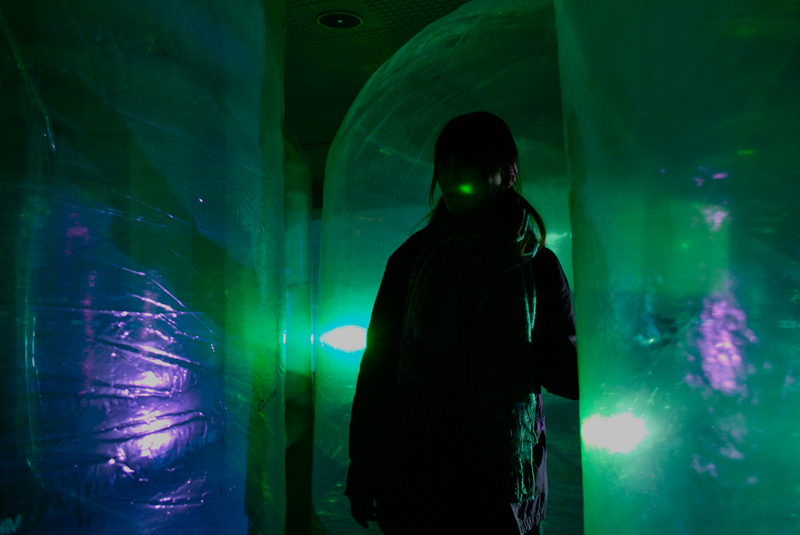 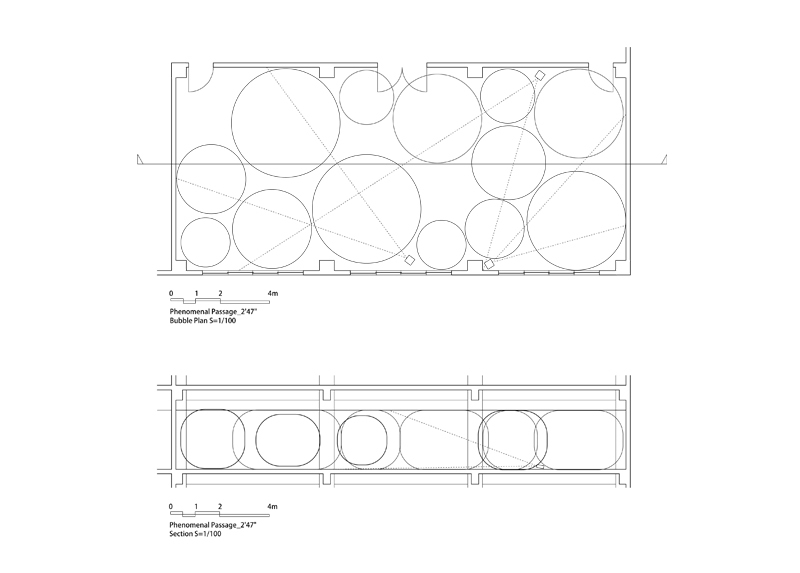 Viewers can wander around narrow spaces between drifting bubbles, and get into a kind of trance wandering the space.